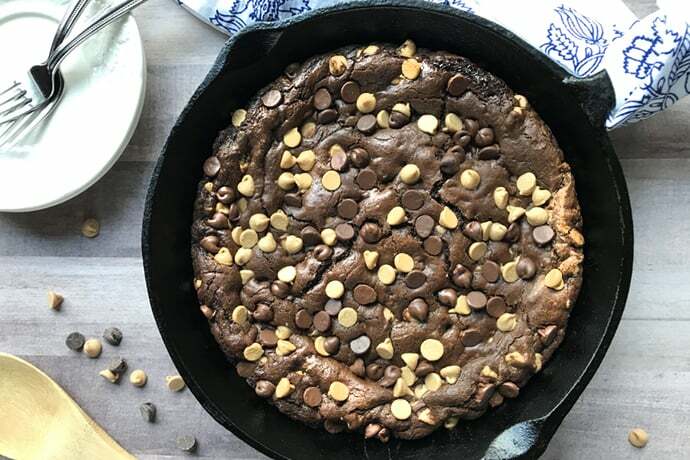 Skillet cookie fans and chocolate lovers… beware. Or should I say, peanut butter chocolate fans… beware? There’s a new favorite on the block. 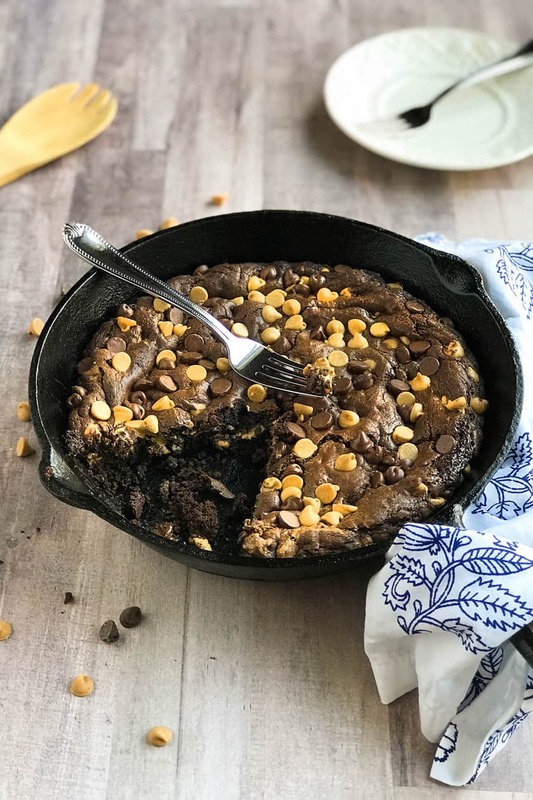 It’s this densely chocolaty, peanut buttery confection made delicious in a skillet. 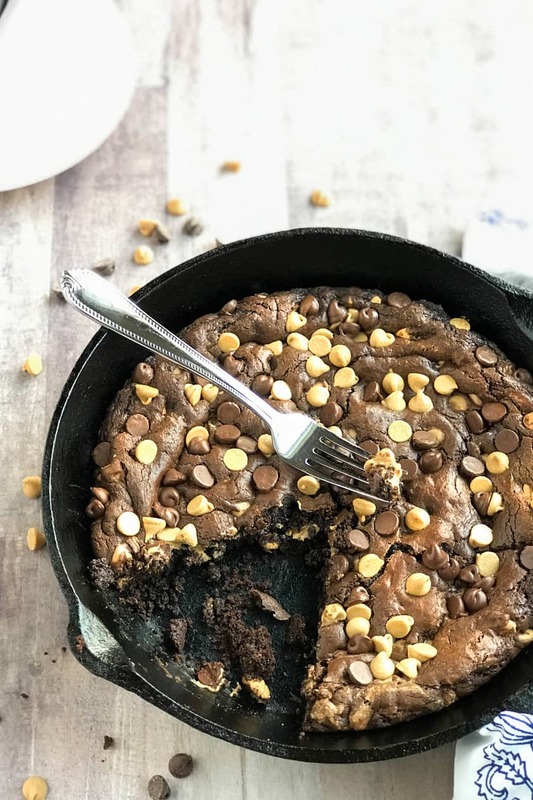 We’re in love with skillet cookies. Well, to be precise, we’re in love with cookies, period. But skillet cookies are extra special. 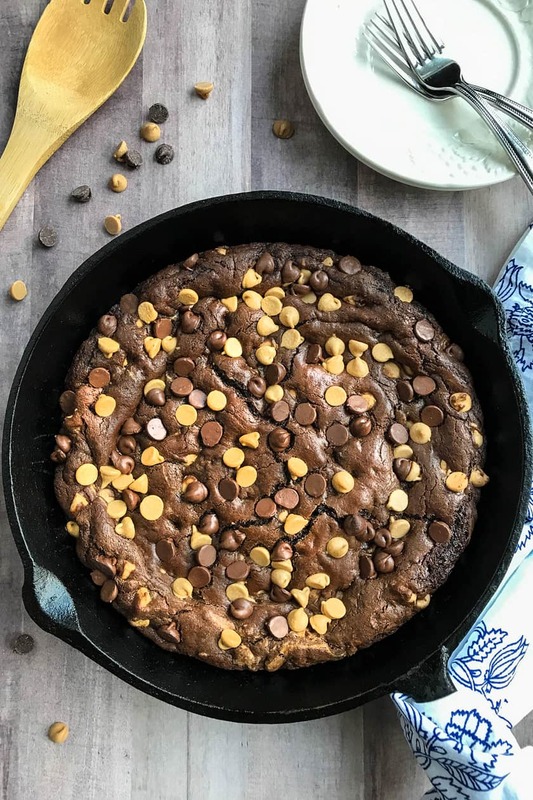 And this Double Chocolate Peanut Butter skillet cookie is amazing. Especially if you’re in love with the magic that peanut butter and chocolate makes together. And if the idea of melt-in-your-mouth, dense, rich chocolate studded with that oh-so-lovely peanut buttery taste floats your boat, you’re in for a treat. 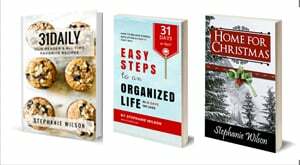 Here’s the best news of all… it’s incredibly easy to whip together. Well, maybe… stir together. It begins with melted butter. The rest of the ingredients require only a few stirs before this velvety batter comes together. A few minutes more for the oven, and it’s chocolate heaven. It’s a cookie treat made for gathering friends and family. Slice into wedges for perfect finger food, or make it a family affair with spoons, ice cream and drizzled chocolate sauce. 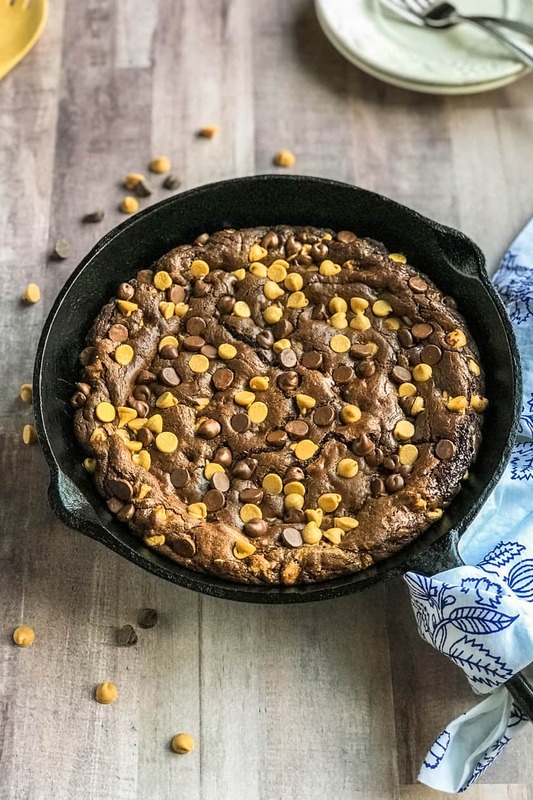 Perfect for game day watching (like the Super Bowl), Valentine’s Day (for Reese Peanut Butter Cup lovers), Friday nights, board game nights, snowy nights, summer nights. Okay — I promise I won’t keep going. Truly, I can’t think of a time when it isn’t a quick and easy, yet scrumptious treat! 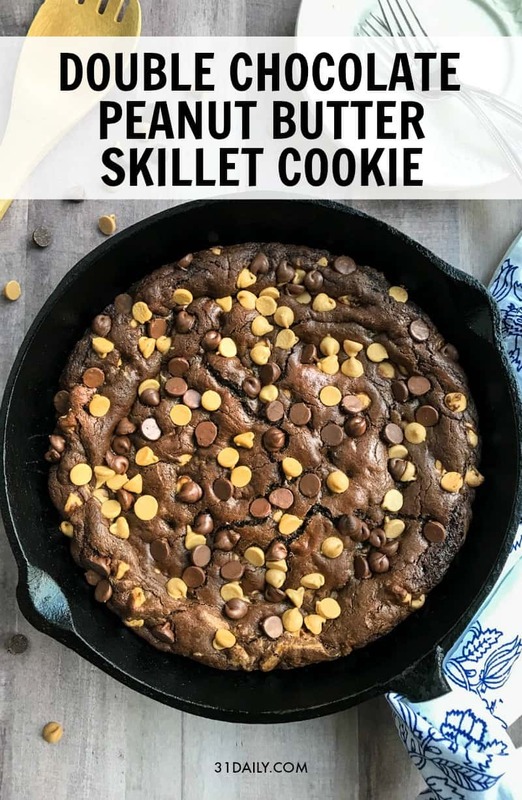 Skillet cookie fans and chocolate lovers, beware. Or should I say, Peanut Butter Chocolate fans, beware? There’s a new favorite on the block. It’s this densely chocolaty, peanut buttery confection made delicious in a skillet. Preheat the oven to 350 degrees and spray a 10-inch ovenproof skillet with nonstick spray. Combine the melted butter, brown sugar, vanilla, and cocoa powder in a large bowl. Stir in the egg until combined. Add the flour, baking soda, salt, 1/2 cup each of chocolate chips and peanut butter chips. Transfer the batter to the prepared skillet and sprinkle remaining chocolate and peanut butter chips. Bake until just set in the center and pulling away slightly from the sides of the skillet, about 18 to 22 minutes. 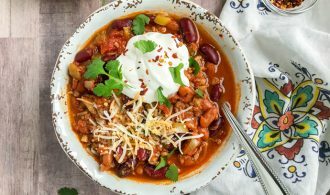 Let cool 10 minutes and loosen the edge before slicing into wedges and serving. 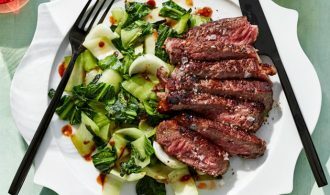 Or, top with ice cream and your favorite sauce, lay out spoons or forks, and share a one-pan treat!